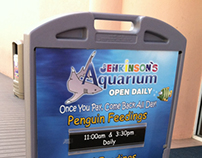 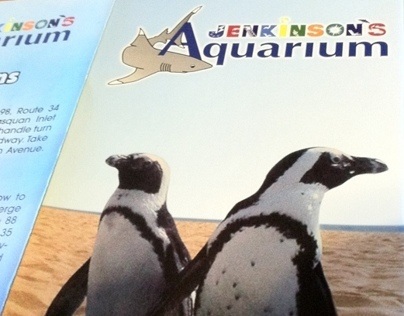 Jenkinson's Aquarium Adopt An Animal brochure. 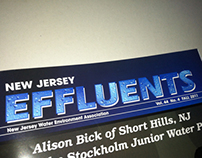 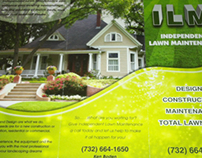 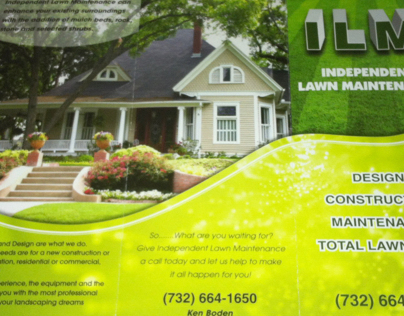 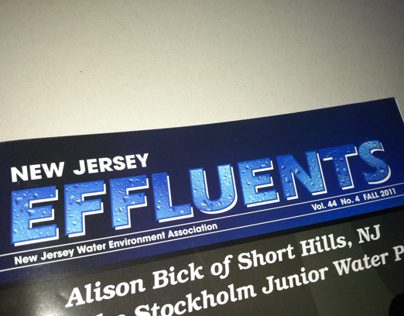 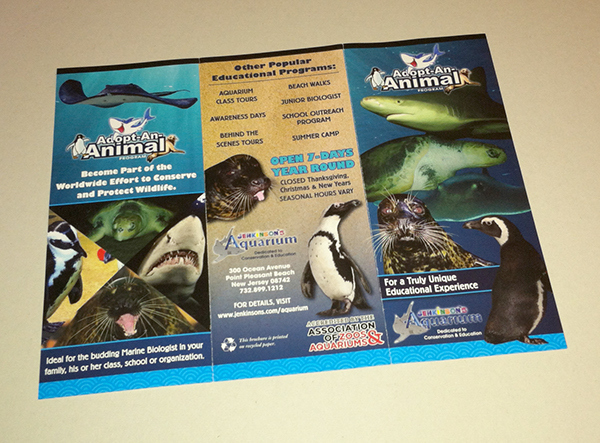 Tri-fold 100# coated text. 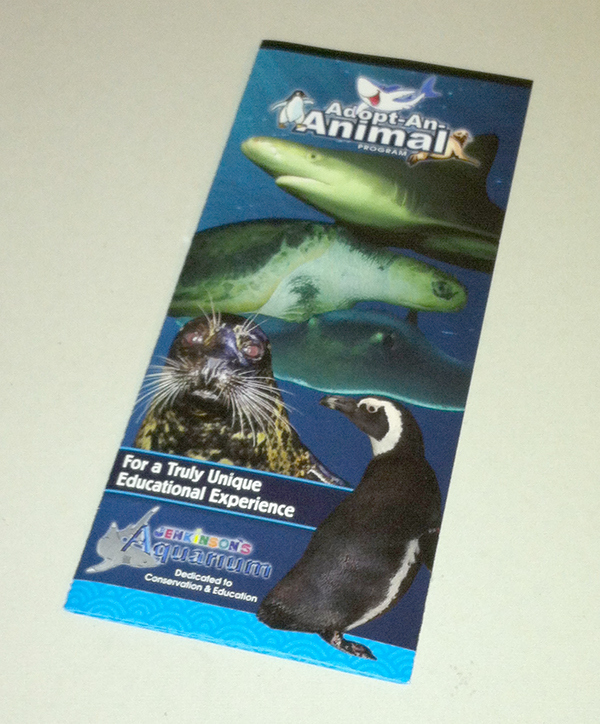 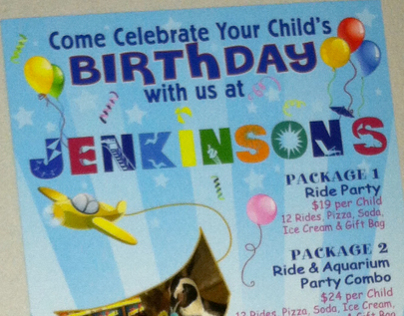 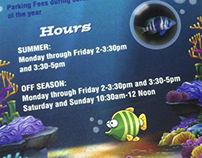 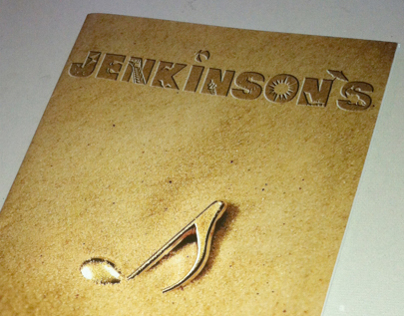 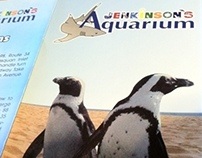 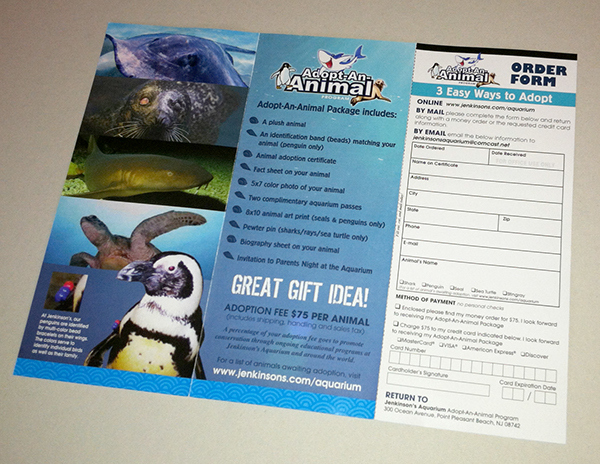 Tri-fold brochure for Jenkinson's Aquarium for their Adopt An Animal program. 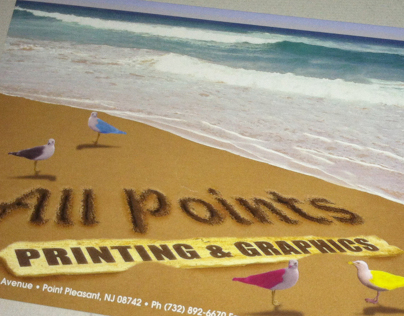 Printed on 100# coated text 4/4.